Fresh out of geological engineering school, Ralph Langenheim was sped through Navy training, became a lieutenant junior grade, didn’t get his choice of sub-chasing and was instead placed into the amphibious force — not long before the most ambitious amphibious landing in world history. 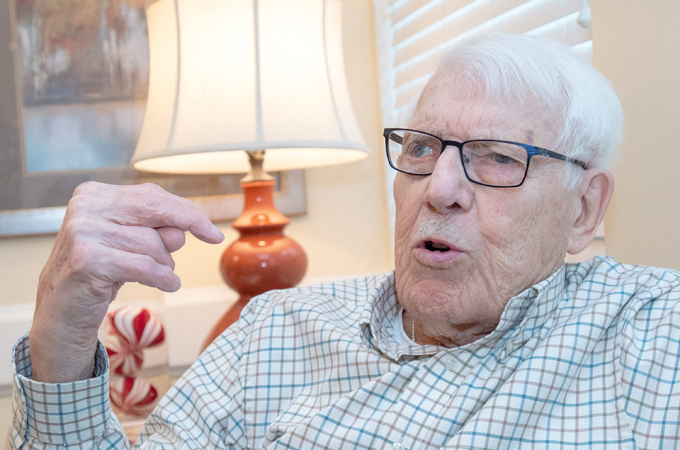 Langenheim, 94, a longtime University of Illinois professor and former Champaign County Board member, remembers the hours before dawn on June 6, 1944, as quiet, subdued and filled with foreboding. He was “a landlubber” from Tulsa and studied petroleum geology in college. The Navy rushed him through training, including time at Annapolis Naval Academy. Langenheim’s landing craft left for England in February 1944. His ship traveled around Gibraltar, the Azores, England and France. He later shipped to Kodiak Island in Alaska to prepare for an invasion of Asia. Most vividly, just before dawn on that June 6, the lieutenant was on a landing craft dieseling toward German-held France. USS Landing Craft Infantry 551 had left England out of Dartmouth the night before, after a day’s delay because of bad weather. After midnight, there were some flashes of light; he heard planes that he assumes were carrying paratroopers. More flashes followed, then explosions, he says. Just before sunrise, Langenheim not only heard artillery fire, but smelled it. About 6:30 a.m., LCI 551 altered course toward the beach; that was when, Langenheim recalls, a corpse floated by, not far from the wreckage of the U.S. destroyer sunk by the Germans. For the next few hours, his landing craft maneuvered off shore. About 4 p.m., Langenheim’s landing craft was ordered to hit the beach — Utah Beach, the first of the two American landing zones. “Shells kept plopping into the water more or less at random during our entire stay on the beach,” he says. A northward current kept pushing the landing craft off course during the landings, so the crew used anchor cable to correct for it while under fire. “We’d rev up the engine, and try to keep in place, with shells dropping nearby. We didn’t get hit,” he says, shrugging. 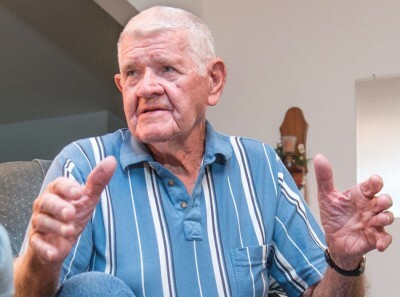 None of his shipmates were hurt in the entire ordeal, he recalls. “Some of our troops drowned. You wouldn’t believe how much equipment they had to carry,” Langenheim says. The ship spent three days off Utah Beach. Five days later, he wrote a letter home that blandly omits any mention of D-Day. From Normandy, his ship went to Southern France for more landings, then to Italy. With the Navy shooting at Italian bombers, American paratroopers may have been casualties of friendly fire, he says. The ship returned to England, escorting barges. Eventually, he traveled to Cold Bay, Alaska, as the war came to an end on his return home. Langenheim then reported to Okinawa, Japan. He also served in the Navy Reserves, where he reached the rank of lieutenant commander. 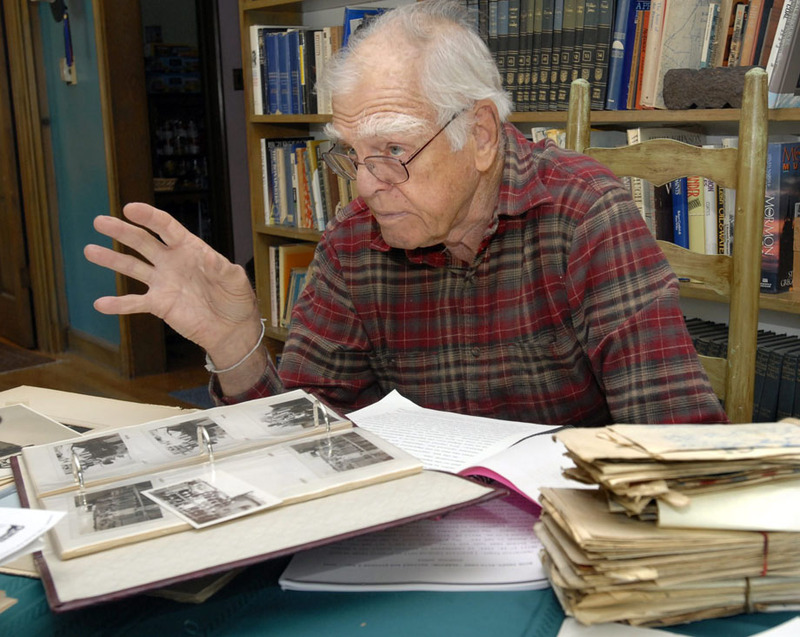 Langenheim went on to graduate school and was a professor at several universities before his long tenure at the Urbana campus. He and wife Casey Diana enjoy their garden and grandchildren.